The return of the wacky monkey! Toki sets off on a new adventure! The cult action / platform game originally released on arcade machines in 1989 is back with a super-simian new version, featuring all-new hand-drawn graphics and re-orchestrated music! Toki the warrior lived peacefully in the jungle with his sweetheart Miho. Appearing out of nowhere, the terrifying voodoo sorcerer Vookimedlo and heinous demon Bashtar kidnap Miho and turn the poor Toki into a chimpanzee! Unfortunately for his sweetheart, he has become a hairy, lethargic ape. Toki was released on Switch 139d ago in the US and the UK. 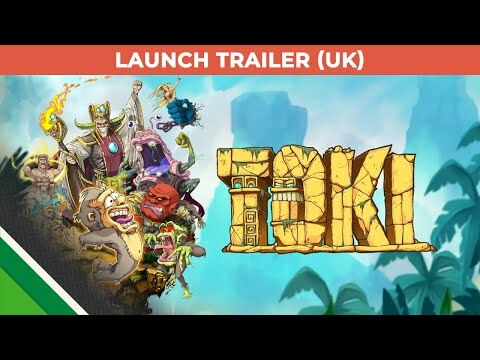 The upcoming Toki PC, PS4 and Xbox One release date is Q2 2019 in the US and the UK. Notify me when Toki is available.